This section of our site will be used to play the videos your students will watch before starting each event. We recommend having a laptop and projector readily available so you can show the videos to the group all at once. They can also be viewed on Ipads or laptops. This is the first video to play for the students. It will give them an overview of the day and what to expect. I will also tell them more about the theme and what to look out for throughout the day. Video #2 - CRASH COURSE GAMES - What is a Game? This video should be played during the introduction of the competition. Play it after the "Competition Introduction" is finished. This video should be played before beginning event #2 - The Engineering Challenge. Students will be building a launching system for Angry Birds. This video should be played before beginning event #3 - The Engineering Challenge. Students will be building a launching system for Angry Birds. This video should be played before beginning event #4 - The Creative Challenge. Students will be building and designing a game room. This video should be played before beginning event #5 - The Creative Challenge. 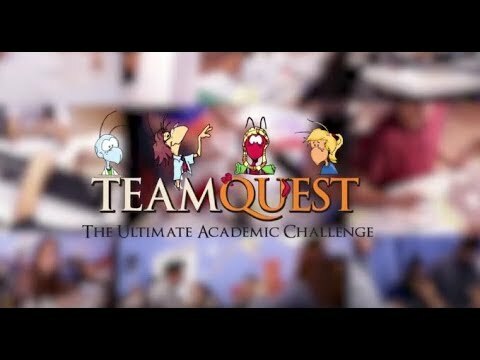 Students will be playing the Team Quest Version of Jeopardy. We have included a 30-second timer with the Jeopardy Music to play during the Final Jeopardy question. Play this video at the end of the event. Information about the Team Quest Semi-Finals is coming soon. want to learn more about adventures in learning? Copyright © 2018 Adventures In Learning Team Quest· All rights reserved.